Home HealthHealth-uncategorized E-Health – Coming Of Age! Imagine never having to fill out long paper forms on wooden clipboards every time you enter a new doctor’s office. Imagine the facility of having your entire profile and medical history that belongs to you right from birth, accessible to you. Imagine never having to deliver a handwritten prescription to any pharmacist. This is what e-health means. It is a term used to describe health care that is supported by electronic processes. 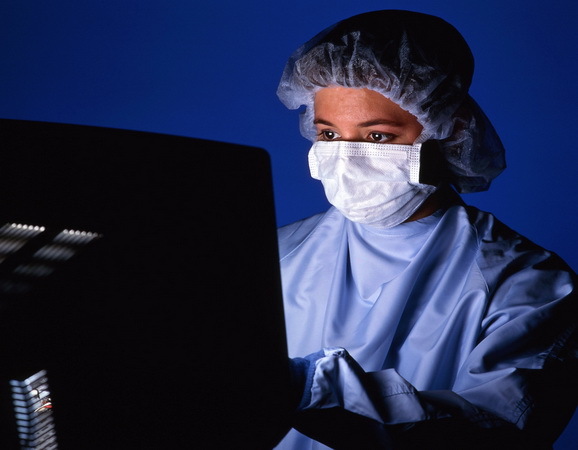 Employee medical history is now being digitized to make things easier and safer. These electronic medical records can make all this happen. They are portable computer-based patient medical records that reside within an integrated system that allows the employees access to patient information from any location. E-health can transform our entire health care system as we have seen it. While information technology has completely revolutionized most major industries, healthcare is one of the last to embrace the benefits. Just as an example, while the financial services industry spends more than seven percent of its budget on IT, health care industry spends only about three percent. Information technology may not be the end-all-be-all to fix our health care system, but it certainly is a major step toward that goal. It will not be easy getting everyone to accept this; with patients fearing their privacy being breached, doctors believing their work practices are threatened, and hospitals wondering how they are going to pay for such a huge undertaking. Part of these fears is seemingly alleviated with employers taking on the huge task of storing their employees’ medical records. Take for example, Wal-Mart, which has given a big push to digitize its employees’ medical histories. Employees will just have to log on to the company’s intranet and download and print their medical records required by their physicians. All their medical records, such as prescriptions, blood tests, allergies as well as complete health histories are stored. It took Wal-Mart a full year of tests, before making this available to one million of their staffers who are eligible for insurance under the retailer’s benefits enrollment program. This has proved to be one of the most ambitious projects of e-health by any company in the United States, with thousands of employees signing up. Not only Wal-Mart but other U.S. companies also face increasingly rising healthcare costs. This is a step aimed at cutting long-term costs. A recent survey reveals that healthcare costs are up by 6% on an average and this has been happening for about four years now. The belief in employers is stronger than ever, that digital records will help foster healthier employees with better productivity. Theoretically, digital records stored on the computers are more accurate when compared to the forms that are filled out in a hurry by employees visiting the physician’s office. According to the Institute of Medicine, every year, more than 50,000 Americans die from medical errors. Advocates of digitized medical records state that “paper kills.” Another important aspect to look into is that electronic records are less likely to be misread than those written on paper. There is no risk of failure to report certain harmful drug interactions by the patents and potential danger can be averted. They help doctors focus more on patient care and less on record keeping, including asking questions. When doctors can see a patient’s entire medical history instantly, they can customize the treatment based on that history, thus avoiding duplication and better managing any chronic disease. The most obvious benefit of digitizing medical records is that it helps save insurance costs for the companies, as they are making sure they avoid major complications down the line which may require expensive interventions. A survey showed that potential cost savings through reduction in duplicate procedures could cut total costs by several billion annually. These records can be vitally important in emergencies too, including national emergencies. During Hurricane Katrina, thousands of medical records stored on paper were destroyed. If those records were stored in electronic form, they could have been accessed easily. With the help of electronic medical records, employees have the necessary tool to monitor their health. These records may help cut insurance costs without any issues on privacy – which has always been the major issue with any e-health projects including EMRs. Privacy is one of the two primary concerns. In the last few years, Google and Microsoft have plunged into e-health by offering consumers tools for uploading their personal health information onto websites. This has raised several outcries from privacy advocates. The primary legal means for protecting privacy is the Healthcare Insurance Portability and Accountability Act (HIPAA) that was initially enacted by Congress in 1996 and Title II in 2003. Companies are looking at preserving patient privacy through the use of better software that automatically retrieves all the medical information from insurers, pharmacies and others, and stores it in an encrypted form that can only be accessed by the employee with the use of a password known only to them. The second major concern is that of physicians. They are worried that they will be asked to make major investments in information technology such as new software, computers and extra staff. If e-health is meant to save costs, they say that even the doctor’s costs should be taken into consideration. Rising healthcare costs are a huge burden for businesses in America. As they compete globally with other countries where healthcare costs are far lower, it is not just the physical health that is at stake but also the economic health. U.S. healthcare spending per capita is the highest of any developed nation and advances in e-health will have to be made to change that.